DJ Josh B Archives - B-Boy Productions, Inc.
April 6, 2017	by B-Boy Productions, Inc.
Did you know that April is National Autism Awareness month? We felt like this was a perfect time to call attention to one of our #bboygivesback non-profit partners, Emerald Coast Autism Center (ECAC). The staff at ECAC have a big job on their hands. Studies indicate that 1 in 68 children in the United States can be diagnosed as having autism spectrum disorder. These children will face innumerable challenges in life that many of us will never fully understand. But the good people at ECAC have put themselves on the frontline to face these challenges right alongside the youngsters they affect. It takes guts. It takes resolve. It takes a big heart. And it takes having a lot of support. That’s why B-Boy Productions was honored to play a role in the 5th Annual “Hole in ONE” Golf Tournament. The “ONE” in the event’s title is inspired by the “1 in 68” statistic, as a reminder of what — or rather, who — this charity fundraiser is aiming to help. 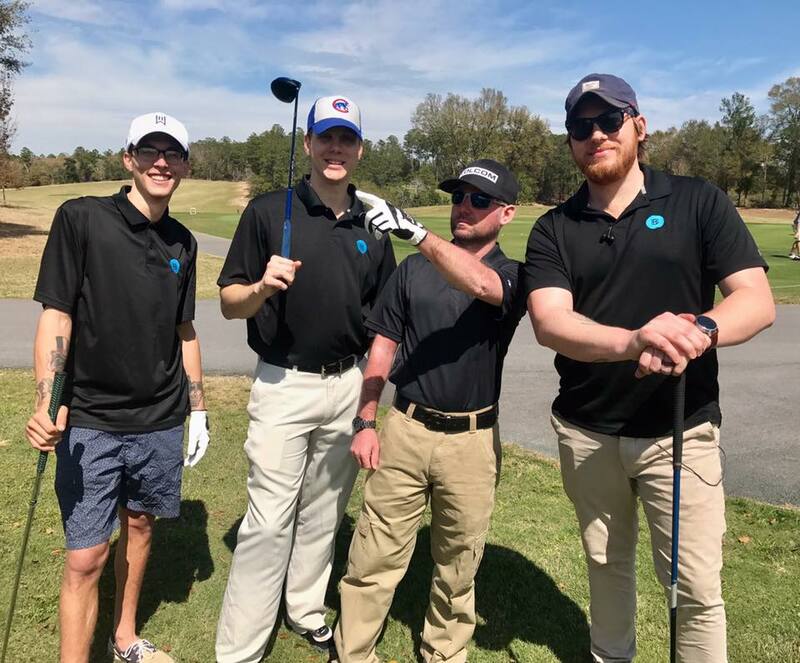 Held at the prestigious Blackstone Golf Course in DeFuniak Springs, FL, the tournament raised funds for ECAC’s Capital Campaign, funding their newly-built facility on the Northwest Florida State College campus in Niceville, FL. This new state-of-the-art therapy center provides ECAC the opportunity to accommodate more students, and to offer them each a better, more effective therapy experience, while also ensuring a more substantial future for the center itself. Golfers from all over the area, both seasoned and — not so seasoned, came out to support the cause. B-Boy Productions was there, with DJ Josh B. providing audio support and MC duties for the “shot gun start” opening ceremony and announcements. Hours later, as players returned from their rounds to the clubhouse, DJ Josh was there to provide music for the after party. He bolstered the tournament’s award presentations with a soundtrack of victory tunes, and kept a lively mix going throughout the many raffle giveaways. We also brought some of our B-Boy team to participate as golfers in the tournament. It was obvious by the end of the day that none of our team will be pursuing a golf career. Our sweet spot is behind the decks and rocking parties. That said, it was a great time for some of our DJs to hang outside of the office and get to know some of the ECAC staff, partners and donors. B-Boy Productions says thank you to Emerald Coast Autism Center for the work that they do, and for the opportunity to do what we do in support of their fight against the challenges of autism. February 27, 2017	by B-Boy Productions, Inc.
Fortunately for us, both DJ Josh Bausch and B-Boy Productions’ worlds collided and the match couldn’t have been better. The opportunity to find someone who not only has the ideal DNA of your company but also the skills to compliment it is a rarity, especially in the Wedding DJ industry. Let’s put aside his DJ skills for a moment. Josh is just a fantastic person. If you are lucky enough to have him as your DJ/MC, you’ve won the lottery. Josh has an innate caring nature that is evident from miles away. He doesn’t do things to stroke his own ego. There is no side agenda. Josh understands the gravity of the events he’s a part of and he approaches them as such. Nobody is more engaged and selfless in their preparation for each single event than Josh. Not only does that set up each event for success but it speaks volumes about his character in general. As you will instantly tell when you watch and listen to his video bio, DJ Josh Bausch has the golden voice that every DJ/MC would die to have. It is just God-given. That was an added bonus for us when Josh interviewed with our company. Usually, we don’t hire DJs or MCs with previous experience as we like to train from the ground up. Even if DJs have had years of experience, we still put them through our training program. Josh was willing to go through it with us and our company couldn’t have been better served to add such a great individual to our team. If we could clone Josh, we’d definitely consider it. In the 3rd installment of our “Meet Your DJ” series, we hope you enjoy getting to know Josh’s humble DJ beginnings and learning a few unique facts about him. To read more about Josh and see his reviews, click here. 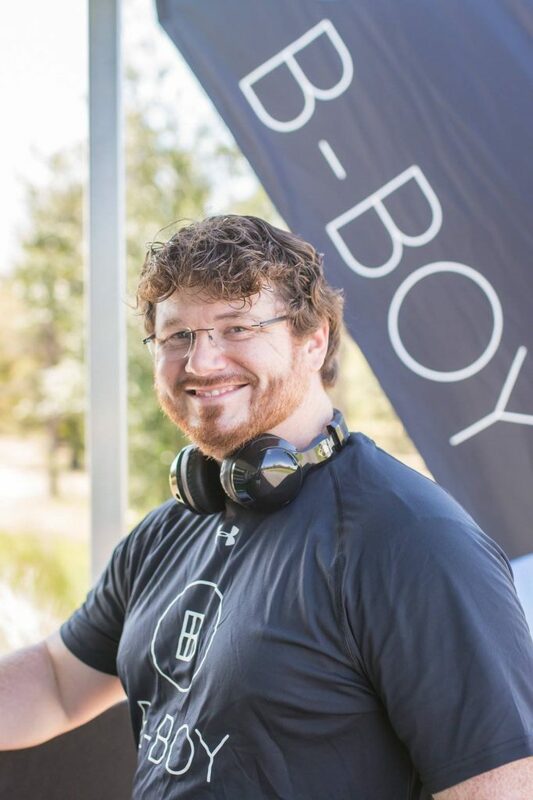 Being a Fort Walton Beach local, we book DJ Josh Bausch there as well as in Destin and Sandestin for most of his events. In 2017, we are aggressively booking him at new venues in Navarre, Pensacola Beach to the West and WaterColor, Alys Beach, Rosemary Beach, Carrilon Beach, and Panama City Beach to the East. To book Josh for your event, contact us today. October 26, 2016	by B-Boy Productions, Inc. Although The Pearl on 30A has been around for a few years, it was our first wedding on the Pool Deck Cabana since the renovation. 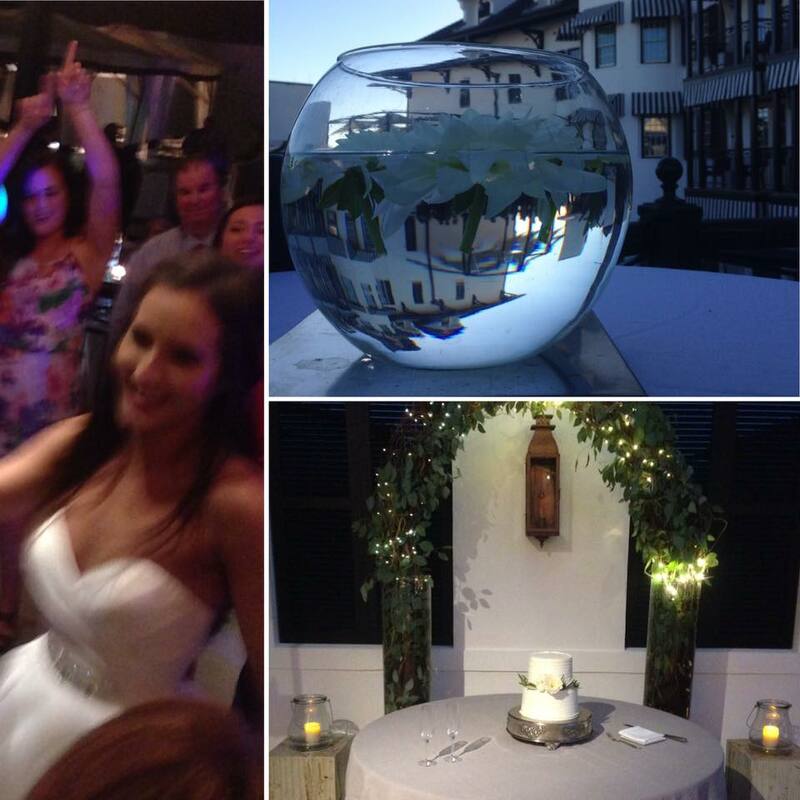 If your dream wedding doesn’t involve a large crowd, we can’t more highly recommend this intimate, elegant, and overall unique setting at Rosemary Beach! A ceremony, cocktail hour, dinner, and reception can all be accommodated and the staff impressed us with their constant attentiveness to the event and that of the guests. DJ’ing there this past weekend was a memorable experience for all, and we hope we’ll have the pleasure of doing so again soon. The evening was a perfect blend of classy and casual, elegant and exuberant. Kate and Stephan’s Grand Entrance drew cheers from not only their guests but also from patrons of the nearby hotel restaurant. By the end of the couple’s photo-worthy First Dance, love was thick in the air! That atmosphere never waned through the spirited Parent Dances, Cake Cutting, and an Anniversary Countdown that filled the dance floor with happy couples offering their well-wishes to the newlyweds. DJ Josh B kicked the festivities into high gear with classic 90’s R&B dance anthem “This is How We Do It” by Montell Jordan. This was one of the many “must play” song selections provided by the bride and groom, who were very aware of their crowd’s taste — because every selection was a hit! The dance floor never emptied as DJ Josh B mixed the couple’s playlist with guest requests and kept the party going for hours straight. 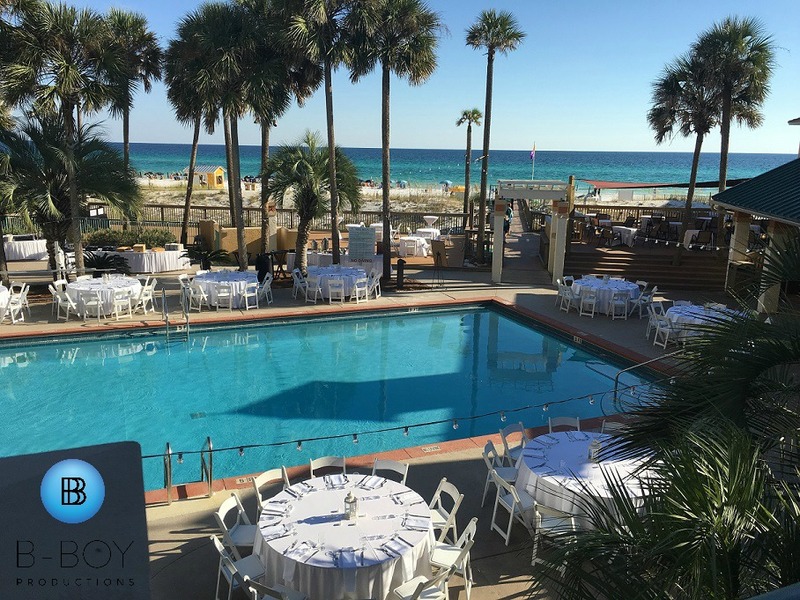 October 14, 2016	by B-Boy Productions, Inc.
There’s a little gem on the Sandestin Golf & Beach Resort called the Sandestin Beach Club, and A Sandestin Beach Club Wedding is one of the best ways to tie the knot on the Emerald Coast. It’s a members only club, however, in the Fall/Winter, it can be used for weddings and private events. This is now one of our favorite spots. It has an intimate feel despite the massive property size. For Reagan and Robin’s wedding this past weekend, they had a guest count of about 100 people. The ceremony took place on the beach and the cocktail hour and reception was held on the pool deck. Like clockwork, the weather turned from Summer to Fall the day prior to their wedding so the humidity was dialed back considerably from September’s heatwave. For this venue, it’s ideal to have two entertainers. Brian (himself a DJ) assisted Josh, allowing him to get out in the crowd for announcements and make the toasts flow a little easier instead of having to run back to the booth to add music. Once the dancing kicked off, the crowd was ready to party! Josh had them dancing to just about everything he played. 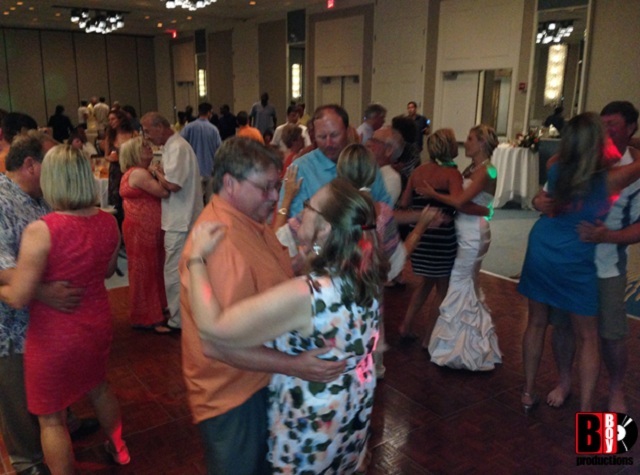 December 1, 2014	by B-Boy Productions, Inc.
With the mild autumn temperatures setting in on Florida’s Emerald Coast, the white beaches of the Hilton Sandestin Golf & Beach Resort are all the more inviting for happy couples seeking the perfect setting for their wedding day. For Dominique Kuykendall and Rumiko Murrell, “perfect” turned out to be a very fitting description! The calm waters turned turquoise as the setting sun painted the sky a fade of orange and purple—offering a splendid color palette as a backdrop for their ceremony and their first photos as newlyweds. 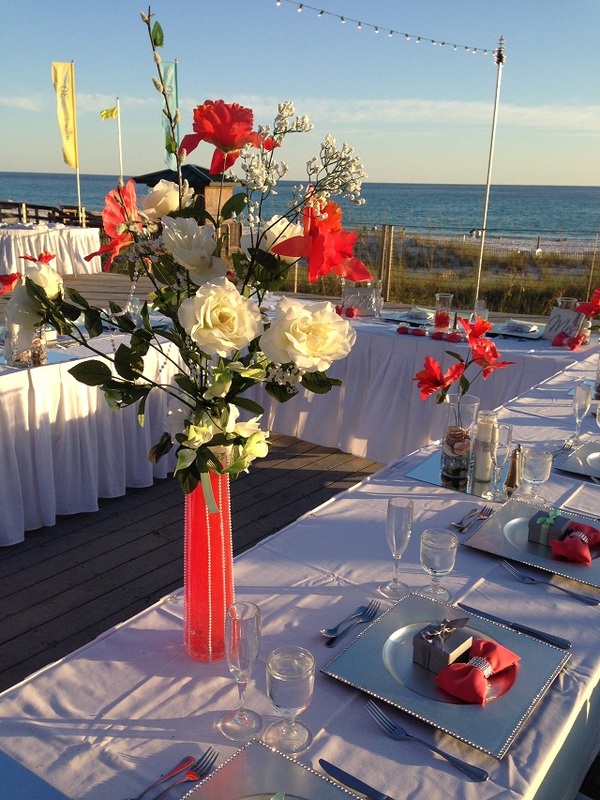 On the Hilton’s Sunset Deck, the reception layout presented an intimate setting for the event’s quaint number of guests. The dining tables all connected in a “U” pattern, so every loved one was never far from the gathering as a whole. The wedding party entered to Drake’s “Started From the Bottom,” soon followed by Rumiko and Dominique’s very spirited first dance to “You & I” by Avant & Keke Wyatt. As dinner was being enjoyed, I treated the guests to a short round of Bride & Groom Trivia—with prizes! The lucky winners went home with a thousand “doll hairs” (still attached to the doll), a brand new “toy Yoda,” and two “100 Grand” candy bars. The champagne toasts after dinner brought many a heartfelt moment, but plenty of laughs as well. The bride took a moment to voice her sincere appreciation of all the friends and family who were present, just before the ceremonial cutting of the cake … And then it was time to party! Kicking off with a throwback to Montell Jordan’s “This Is How We Do It” filled the dance floor instantly, and it never emptied until “Stay With Me” by Sam Smith signed off the night in true romantic fashion. Memorable highlights included some impressive moves on display during “2 Step” by Unk, and everyone joining in to dance the Electric Slide to “Candy” by Cameo. It was a joy to celebrate with Dominique and Rumiko and their guests, and I consider it an honor and privilege to have been a part of their wedding day. It was a day I am certain they will hold in fond memory for their many happy years to come. 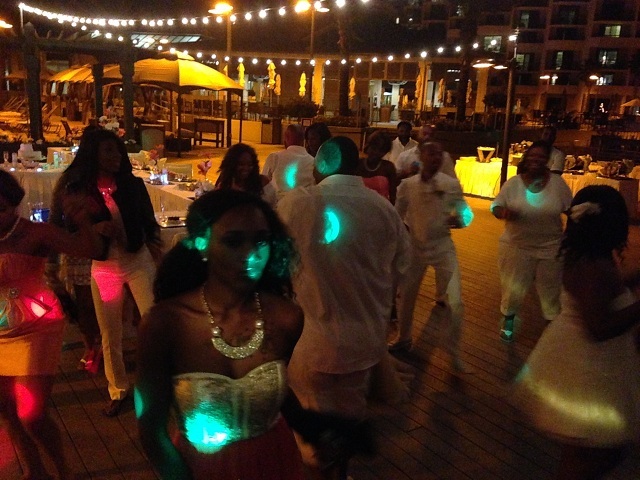 November 27, 2014	by B-Boy Productions, Inc.
As DJs, we get asked all the time for holiday music and other music ideas for parties and special occasions (even ones we’re not entertaining at). The holidays are no exception. In fact, it doesn’t fail that our inbox is filled this time of year with requests from people looking for playlist ideas for their holiday get-togethers. Well, we at B-Boy Productions have got you covered for Thanksgiving…sort of. You see, Thanksgiving is one of those holidays where finding a playlist to fit the theme is a little tough. Beyond the obvious gratititude tracks of “Kind and Generous” by Natalie Merchant, “Thank You” by Dido, the rest are pretty slim pickings. To provide a little levity to our VLog series, we offer you the top 10 Thanksgiving Song Parody Titles. We hope you enjoy these. If you have any others you’d add (we came up with “I Came In Like A Butterball” by Miley Cyrus, “U Can’t Stuff This” by MC Hammer, and “All About That Baste” by Meghan Trainor after we had already taped this episode), feel free to comment below and or tweet us with the hashtag #thanksgivingparodysongs. Have a great Thanksgiving everyone! 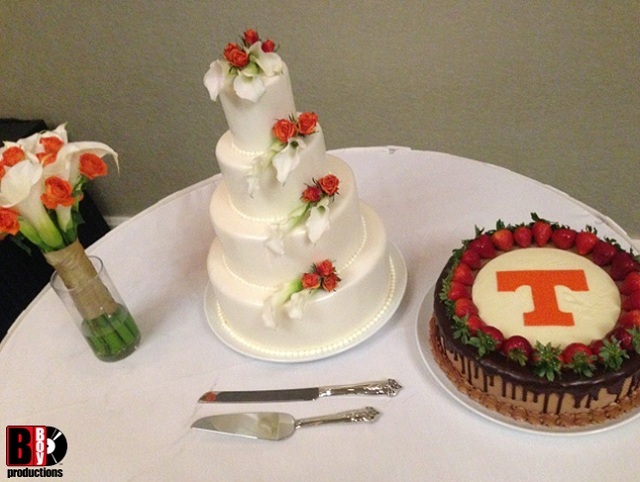 August 28, 2014	by B-Boy Productions, Inc.
As B-Boy Productions’ resident Hilton Sandestin DJ/Emcee, I had the privilege to perform for the wedding of Nikki Young to current University of Tennessee men’s basketball head coach, Donnie Tyndall. Their ceremony took place on the white sands of the beach. The weather was gorgeous, the attire was casual, and the smiles were abundant! Nikki and Donnie said their I-do’s, the crowd of loved ones and onlookers alike erupted in a cheer as they kissed, and within minutes the wedding guests were making their way up to the deck to enjoy some refreshments and the Florida evening air as the sun began to set and the newlywed couple tended to having their photos taken. I have discovered in my time as a destination wedding DJ that the term “cocktail hour” is often a misnomer, considering one hardly ever actually lasts a full hour. But on this particular occasion, the bride and groom were in no hurry to rob themselves of one moment in the gorgeous outdoor surroundings offered by the Hilton’s beachside verandas. They joined their guests on the Sunrise Deck as the cafe lighting took over for the retired sun, and the merry crowd mingled and consorted for the entirety of the hour. I was happy to lurk a bit in the shadows, manning my laptop as the music offered a subtle soundtrack to the merriment around me, because it gave me a chance to observe the attendees and get a bit of an idea what sort of celebration they would be up for as the night progressed. As cocktail hour came to a close, we moved indoors to the Coral Ballroom, for the reception. Inside the long and majestically high-ceiled hall, a massive dance floor and plenty of spacious seating around ornately decorated tables awaited their guests. A long banquet table for the bride and groom to sit flanked by their bridesmaids and groomsmen ran along the main wall in plain view of every guest. Nikki and Donnie, along with Donnie’s two young daughters, made their grand entrance into the ballroom to “Rocky Top,” the fight song of UT, as their friends and family cheered their arrival with as much gusto as any sports crowd. As I had instructed them, they made their way to the dance floor to share their first dance … but that’s when a surprise was sprung on the bride. Donnie appeared on the large screen in a prerecorded message, offering a poetic tribute of love — which he “rapped” — to his new bride. The mixture of humor and genuine emotion on display as the video version of Donnie cracked a bit in his delivery had Nikki, and plenty others, giggling through happy tears. At the video’s conclusion, I cued up “Whatever It Is” by the Zac Brown Band, and Donnie and Nikki were in each others’ arms sharing their first dance as husband and wife. 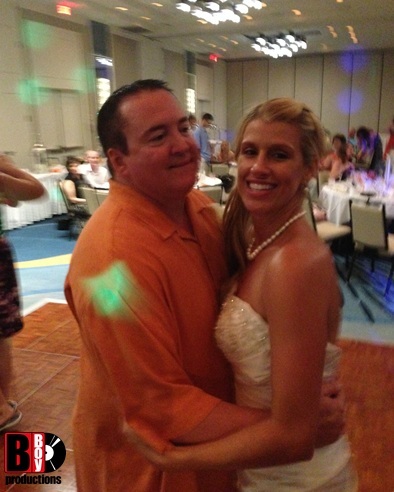 Nikki remained on the dance floor as I invited her father to join her. Dad and daughter shared a few short minutes of closeness to the tune of Fleetwood Mac’s “Landslide” — which then suddenly transitioned into “Happy” by Pharrell. All sappiness abandoned, Nikki and her dad let loose and cut a rug, much to the delight of all in attendance. At Donnie’s turn to dance with his mother, the classic “Wind Beneathe My Wings” by Bette Midler proved a perfect choice. Upon the conclusion of dinner, the Best Man offered a toast to the happy couple as did the Maid of Honor. Then I introduced another video presentation featuring a photo slide show of both Donnie and Nikki as they grew up. From baby pictures to present day, the memories played upon the screen and in the end there was hardly a dry eye in the room. I offered the microphone to the groom, who managed to say a brief but very heartfelt thank you to everyone before we moved ahead with the cake cutting and other festivities. The bouquet toss mustered a sizable crowd of fairly competitive single ladies, but the catch ended up going to one of the youngest (and most petite) girls in the group. Donnie removed Nikki’s garter to the sultry vibes of Marvin Gaye’s “Let’s Get It On”. Once again, the catch — or more accurately, the scoop, was scored by a very young lad who clearly wasn’t quite sure what it was he had there (I’m sure it will occur to him sometime when he’s older). The crowd proved eclectic in their musical tastes, shaking it down to everything from golden oldies and 70’s disco, to 90’s hip hop and today’s hottest country! One of Donnie’s young daughters entertained with an impromptu karaoke of “Fancy” by Iggy Azalea. For the multitude of memorable moments packed into this one single evening, I can’t help but consider Donnie and Nikki’s wedding to be one of the best I’ve had the pleasure to be a part of! When by the end of the night it genuinely feels like you’re not just DJ’ing another “gig,” but instead you’re celebrating with a room full of new friends — it makes it hard to stop. My hope for this happy couple is for all that same joy and exuberance to continue on beyond their wedding day and into the full length of their marriage. Because if so, their life together will be an absolute blast! June 27, 2014	by B-Boy Productions, Inc. In weddings, the First Dance song is one of those tracks that define you and your significant other for a lifetime. You’re always looking for that one song that you’ll be able to resonate with years into your marriage. 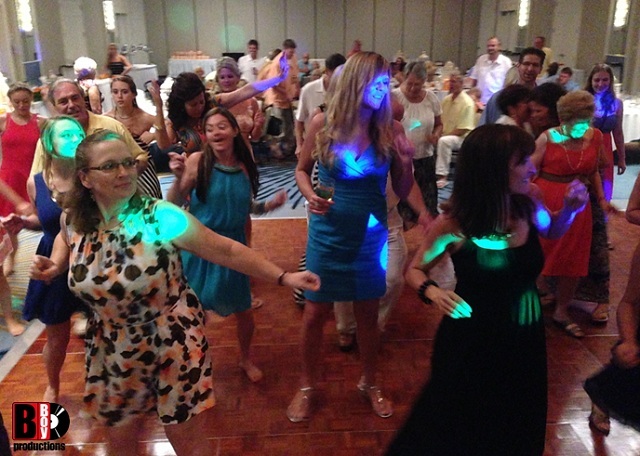 With all that pressure, it’s nice to have a little help from the wedding DJ professionals with some song suggestions. We’re continuing our series of top wedding formality song choices and in this installment, we give you most popular First Dance Songs for Weddings so far this year as selected by our clients. DJ Josh B and DJ Brian B break it down for you with a Top 10 list. This compilation covers a wide range of genres and decades. As always, should you want more ideas, don’t hesitate in reaching out to us and we’ll be glad to send more suggestions. June 24, 2014	by B-Boy Productions, Inc. Since we’re almost halfway through 2014 (how is that even possible? ), we thought it would be helpful to future brides and grooms to let them in on the top wedding Grand Entrance songs choices as based on the selections by our clients from January of this year through now. 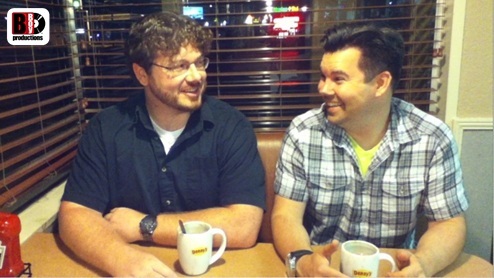 DJ Brian B and DJ Josh B sit down at the fine dining estabishment of Denny’s in Fort Walton Beach, FL to break it down for you top 10 style. If you need more ideas, just give us a call or e-mail us and we’ll be glad to help.